IF CATS COULD TALK, WHAT WOULD THEY SAY? Pets will never leave you, and to me, thatʼs comforting. They also don’t talk back like real children, and that’s a real blessing as well. Imagine if cats could speak? They’d probably come up with some gems like these. Cats will live with you, love you and put up with your messy dishes, your clothes all over the bed and purr that contented sigh. It’s a pretty nice life if you ask me. I’d love someone to feed me, pet me, take me to the doctor, and open the shades so I can lie in the sun. Mary McGrath is the proud servant to three cats. 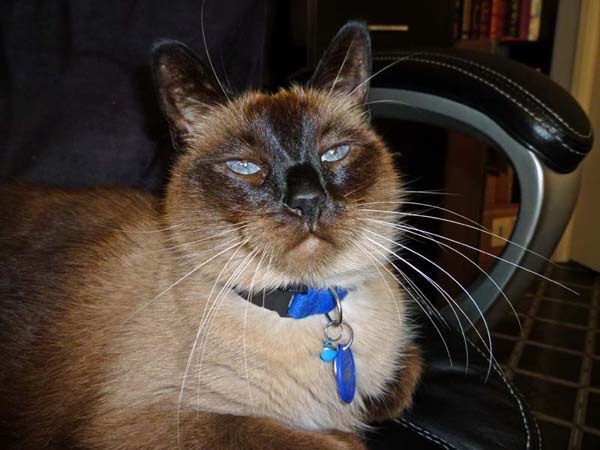 Sparky is a spunky 14-year old Siamese. 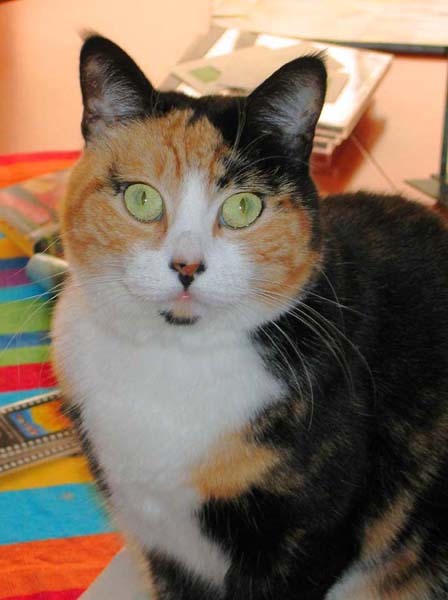 Milly is a 10-year old stubborn Calico. 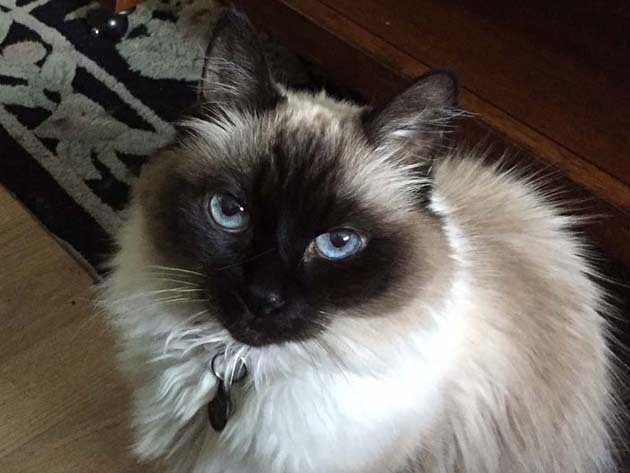 Holly brings up the rear at age 8, and is a beautiful ragdoll. Mary’s work has been published in a number of publications including Newsweek, Good Housekeeping, The National Lampoon and LA Times.